Art is a part of almost every day here. 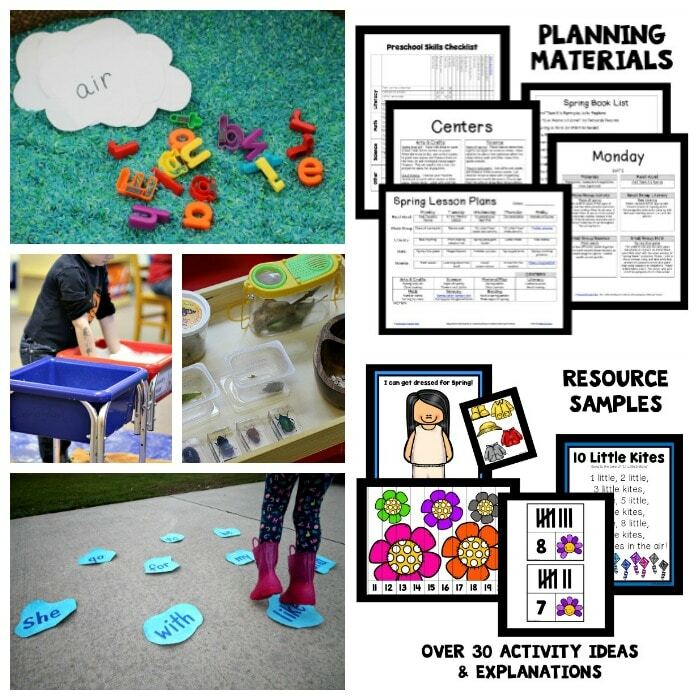 We love experimenting with creative ways to paint and building on themes that are of interest to the kids. 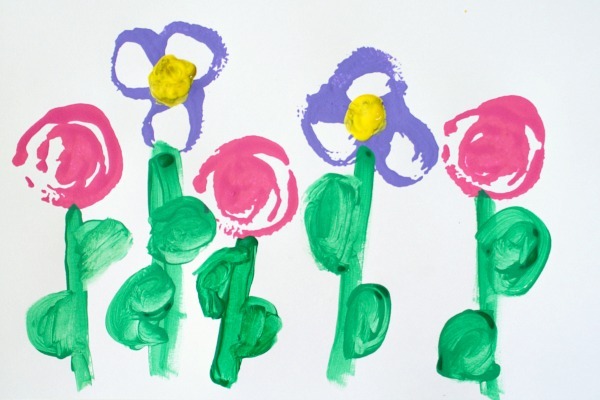 With all of the spring flowers blooming in our area, we’ve been having a lot of fun with a flower theme. 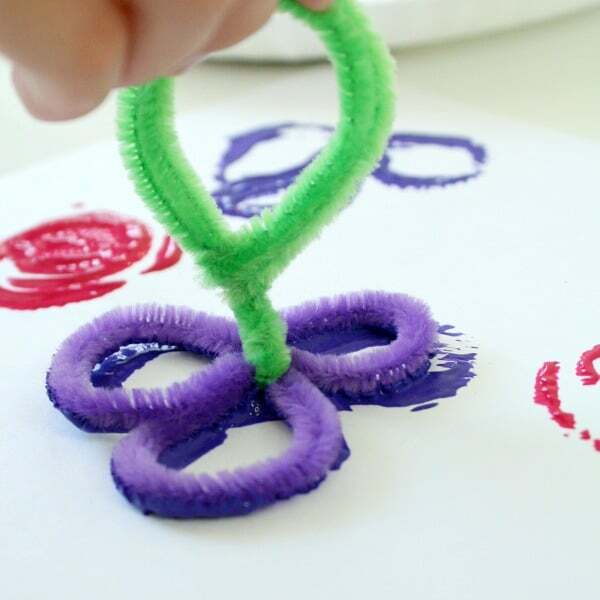 For this flower stamping preschool art activity we played with pipe cleaners a bit to form them into different kinds of flowers. 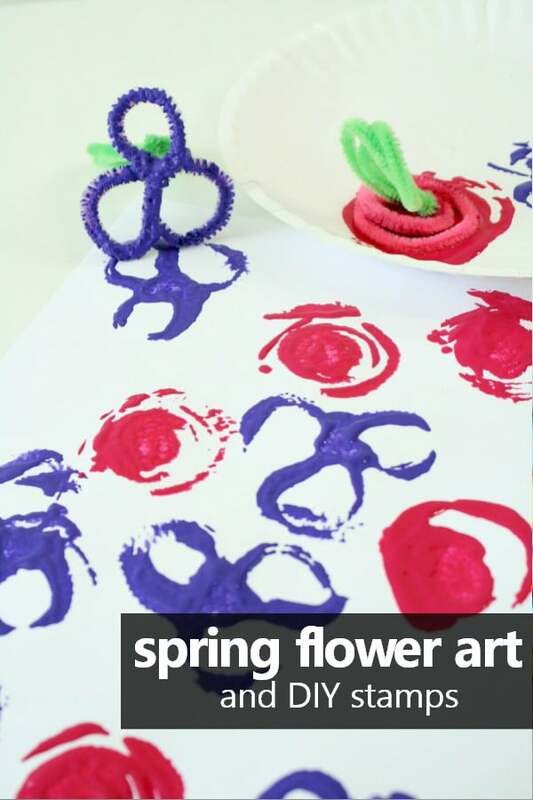 Then we used them to create some spring art! Making the flower stamps is mostly an adult project. 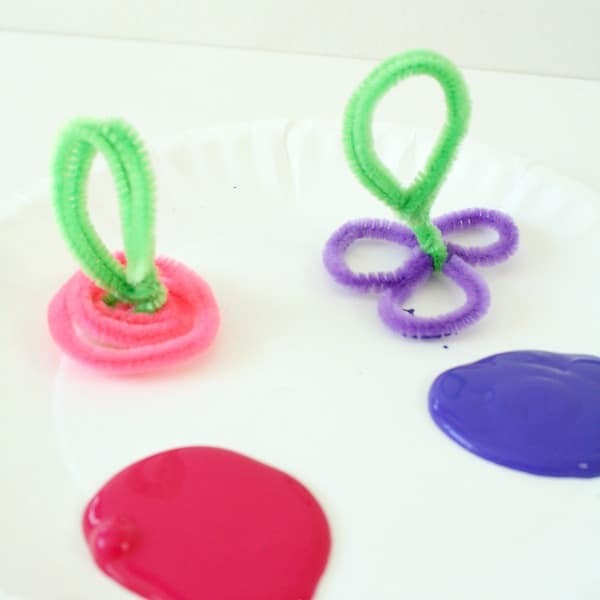 However, I would definitely give kids some chenille stems of their own to experiment with. 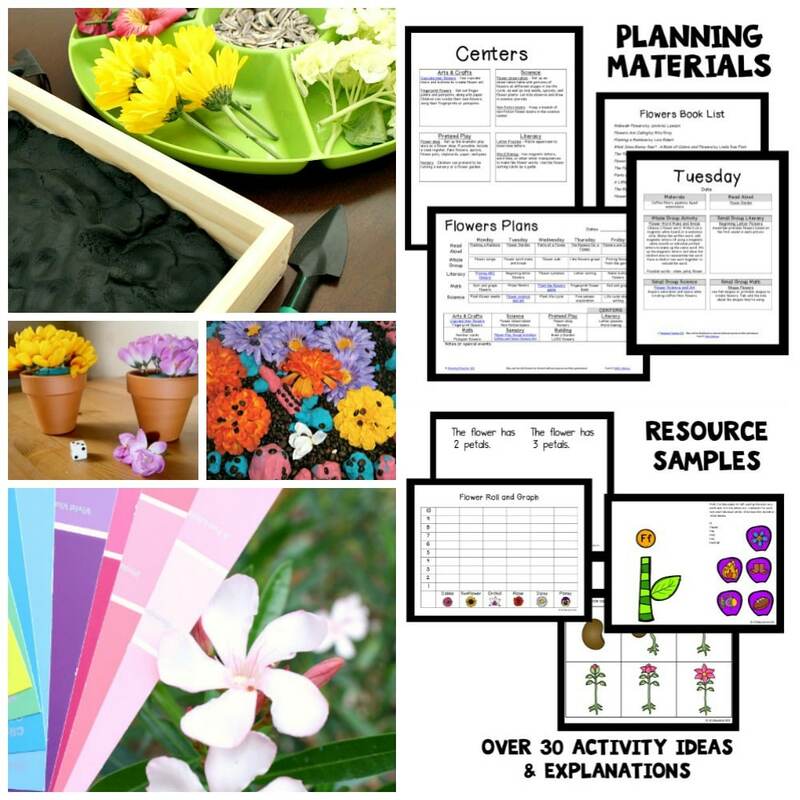 Have a flower building STEM challenge, and see what kids come up with. Test out their designs if possible! 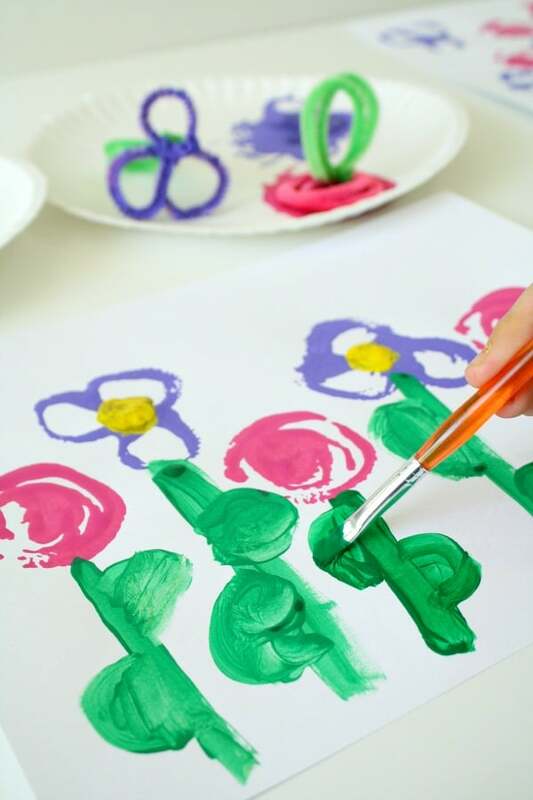 For the flowers we ended up using as stamps, we first created the flower. Then we twisted a green stem into a handle and attached it to the main flower part. You’ll want to try to get the top of your flower as flat as possible so the whole design will leave a print when pushed onto the paper. 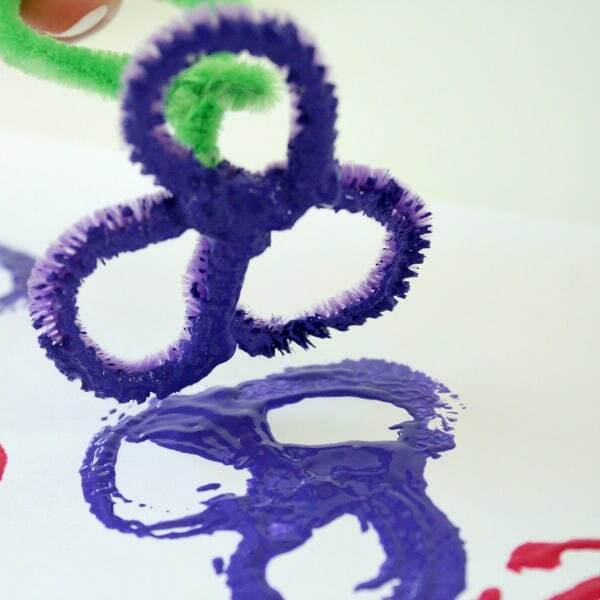 Our purple flower was the most sturdy and left a clear imprint. 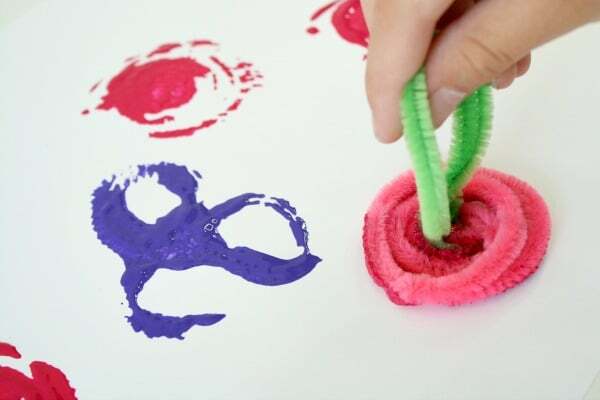 The pink rose was the most fun because it acted like a bit of a spring when the kids stamped with it. 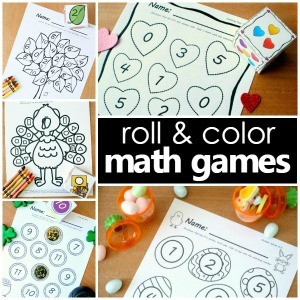 As you place this activity out let kids focus on experimenting with the different stamps. They need to make “something”. 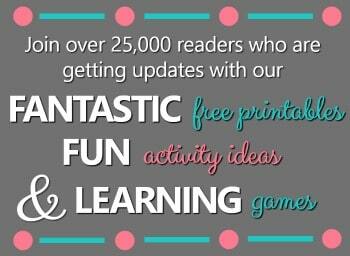 They can just enjoy the process of stamping and creating. 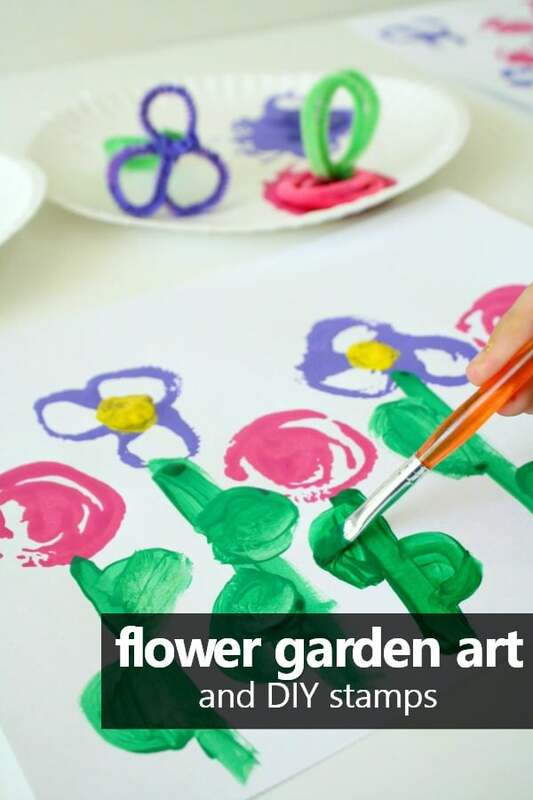 For older kids who want to take it a bit further try creating a flower garden. My daughter first stamped a pattern with the flower stamps. Then she went back and added details using a paintbrush. 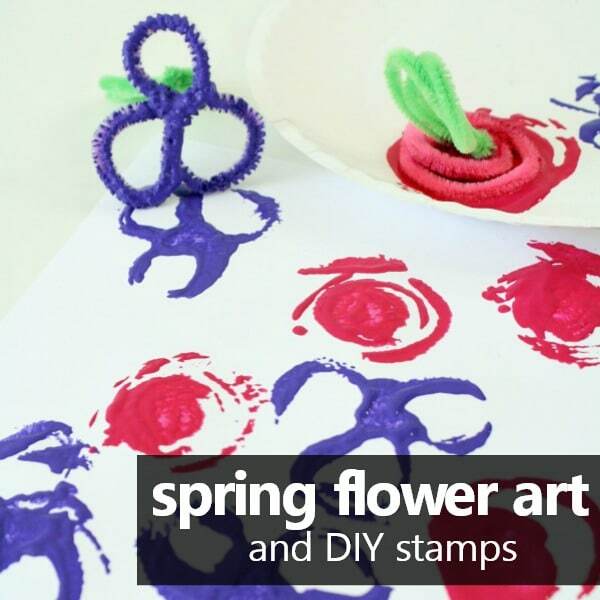 No matter which approach you try your kids will love creating flowers with their own DIY stamps!